Business users who swear by Google's Android mobile devices have several new products to look forward to. 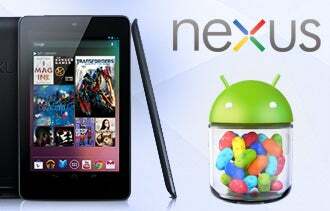 At its I/O developer's conference today in San Francisco, the search giant announced a new tablet computer called the Nexus 7, as well as several new features for the new Android 4.1 operating system called "Jelly Bean." Google's play on the tablet market comes on the heels of Microsoft's launch of Surface last week, and Apple's new iPad several weeks before that. The Nexus 7 was built by computer maker Asus and features a 7-inch 1280×800 high-definition display, which is smaller and offers less resolution than the new iPad's Retina screen. It comes in 8GB and 16GB models, priced at $199 and $249 respectively -- an attractive selling point for anyone who's in the market for a new tablet. The Nexus 7 also will run on Android 4.1 Jelly Bean, which is the latest iteration of Google's popular OS. It will also become available across many Android-powered smartphones. Jelly Bean includes a cache of interesting features for businesses and consumers, including a voice recognition tool -- much like Apple's Siri -- that answers questions and performs searches. For entrepreneurs on the go, Google says the new voice-activated typing function will work even without internet connection. The new Android OS will also include a service called Google Now, which mines your search and location history and your calendar to help guide you. "Google Now figures out when you commute from home to work and back, and tells you how long your commute takes usually, and gives you a faster route if there's lot of traffic," Hugo Barra, Google's director of product management, said during the event. "On public transit, if you're on the platform at a subway, Google tells you when the next bus or train will arrive." The Nexus 7 tablet is expected to start shipping in the next two weeks. On smartphones, Android 4.1 Jelly Bean will begin rolling out on the Galaxy Nexus, Motorola Xoom and Galaxy S starting in mid-July, Google says. Which Jelly Bean features seem most useful to your business? Let us know in the comments section below.